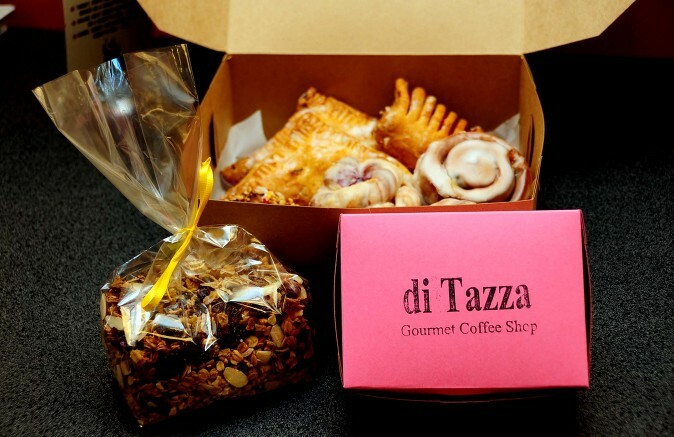 Since 2007, di Tazza has been providing a diverse menu of food and drinks based on old Italian recipes. We want to see you come in a customer, and leave a friend. "The coffee shop not on every corner." The current location is warm and inviting. Cozy places to sit and catch up on reading or enjoy time with a friend. Coffee and espresso are wonderful. All of the food is high quality, from the freshly made scones and desserts to the homemade soups and sandwiches. A large selection of syrups and teas create an endless drink menu. My family has definitely embraced the di Tazza motto, "Come as a customer... Leave as a friend! I had the most AMAZING MOCHA in my life here. They would not give me the recipe, but I believe it has something to do with a secret blend of a few different chocolates and some vanilla. If you like mocha's you have got to try this place! Share what you love about us here! We offer a fantastic selection of all of your traditional favorites as well as some items with a whole new twist. 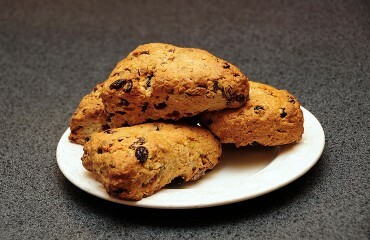 Try one of our famous scones or mouthwatering muffins - handcrafted daily using only fresh, high quality ingredients. We also offer gluten free cookies and bread. Our friendly and helpful staff are here to assist you in our warm and inviting environment. We offer plenty of seating, both indoors and outdoors, so you can relax and enjoy one of our amazing, fresh brewed coffees or espresso anywhere you like. We feature a huge selection of flavored syrups and different types of milk so you can customize your coffee just the way you like it. All of our coffees are available in a variety of sizes for your convenience. Don't have time to dine with us today? Grab your favorite beverage to go! 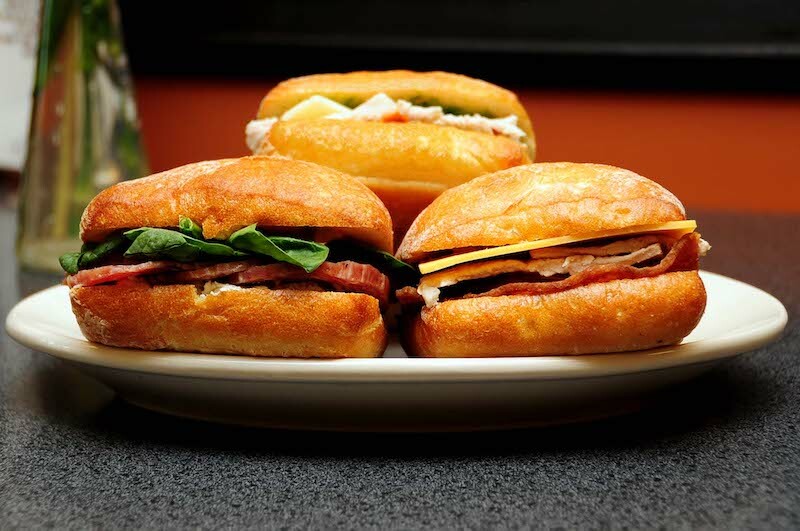 When you're in the mood for a delicious and hearty sandwich, look no further than di Tazza. Our home-styled, environment is the perfect place to enjoy your delicious sandwich with a cup of coffee, tea or espresso, at work or on the go! We offer plush couches, cafe style seating and outdoor tables. Bring your laptop or tablet and browse the internet with our free WiFi service. We offer a great alternative to working in a stuffy office! Getting ready for a celebration, event or occasion? Let the experts at di Tazza help! We offer experienced and reliable catering services to assist you in feeding any size party or gathering. We can provide delicious pastries, sandwiches, salads and soups. Perfect for any event or occasion from receptions and showers to corporate meetings and birthday parties. Not sure where to start? Contact us today and we can assist you in figuring out what menu selections will best serve your needs.